MAJORETTE -REGULAR -SCARA 1/64- DODGE - ++2501 LICITATII !! MATCHBOX-DIVERSI PRODUCATORI-SCARA 1/64-MERCEDES C-111 -++2501 LICITATII !! CORGI -SCARA 1/50- EDITIE LIMITATA- BUS -++2501 LICITATII !! MERCURY 1950 /MAISTO SCARA 1/64 ++2501 LICITATII !! MATCHBOX-DIVERSI PRODUCATORI-SCARA 1/64-ROLLS ROYCE SILVER SHADOW -++2501 LICITATII !! SIKU -SCARA 1/100- POMPIERA - ++2501 LICITATII !! SIKU-SCARA 1/55 -LOT DOUA MACHETE UZATE - ++2501 LICITATII !! SIKU-SCARA 1/58 -WEISMANN - ++2501 LICITATII !! SIKU-SCARA 1/58 -REMORCA - ++2501 LICITATII !! SIKU-SCARA 1/55 -REMORCA POLIZEI - ++2501 LICITATII !! SIKU-SCARA 1/58 -TRACTOR - ++2501 LICITATII !! SIKU-SCARA 1/58 -FERRARI - ++2501 LICITATII !! SIKU-SCARA 1/58 -HUMMER H1 - ++2501 LICITATII !! NOREV-SCARA 1/60- PEUGEOT CONCEPT -++2501 LICITATII !! 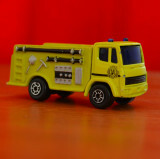 EFSI HOLLAND - SCARA 1/64- FORD T FIRE TRUCK -RARITATE -++2501 LICITATII !! MAISTO -SCARA 1/64 -- ++2501 LICITATII !! MAISTO -SCARA 1/64 -PEUGEOT 309 - ++2501 LICITATII !! MAISTO -SCARA 1/64 -JAGUAR - ++2501 LICITATII !! MAISTO -SCARA 1/64 -DODGE HEMI SUPER 8 COCEPT - ++2501 LICITATII !! MAISTO -SCARA 1/64 -OLDSMOBILE- ++2501 LICITATII !! MAISTO -SCARA 1/64 -DODGE- ++2501 LICITATII !! MACHETĂ METALICĂ - MERCEDES BENZ 500 SL, MADE IN THAILAND, MAȘINUȚĂ VECHE, 1989! MATCHBOX-DIVERSI PRODUCATORI-SCARA 1/64-ALFA ROMEO P33-++2501 LICITATII !! MATCHBOX-DIVERSI PRODUCATORI-SCARA 1/64-PORSCHE 356-++2501 LICITATII ! !